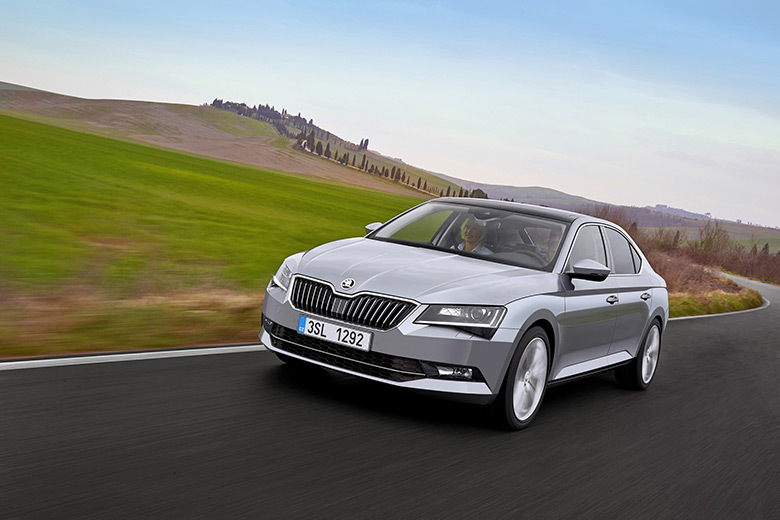 The new Škoda Superb is now heading for the showrooms, fitted out with Continental tyres. The Czech car brand has approved the ContiEcoContact 5 and ContiPremiumContact 5 as original equipment for its flagship model. Both tyres in size 215/55 R 17 V are now being supplied to the Škoda plant in Kvasiny, where the Superb is built. Škoda opted for the Continental tyres because they combine low rolling resistance with a safe and comfortable ride and high mileage. The approvals from Škoda also make for efficient logistics, because the ContiEcoContact 5 tyres for the Superb are manufactured at the Continental tyre plant in Otrokovice, just 180 km or so from the car plant. The ContiEcoContact 5 summer tyre is designed for low rolling resistance and at the same time offers short braking distances on wet and dry roads. The ContiPremiumContact 5 also offers short braking distances on wet and dry roads combined with precision handling – not least at higher speeds. The availability of two tyres with different capabilities for the same vehicle segment means that the car manufacturer and the consumer have the option of focusing more strongly on fuel-efficiency or handling when they choose their tyres to suit their individual needs.